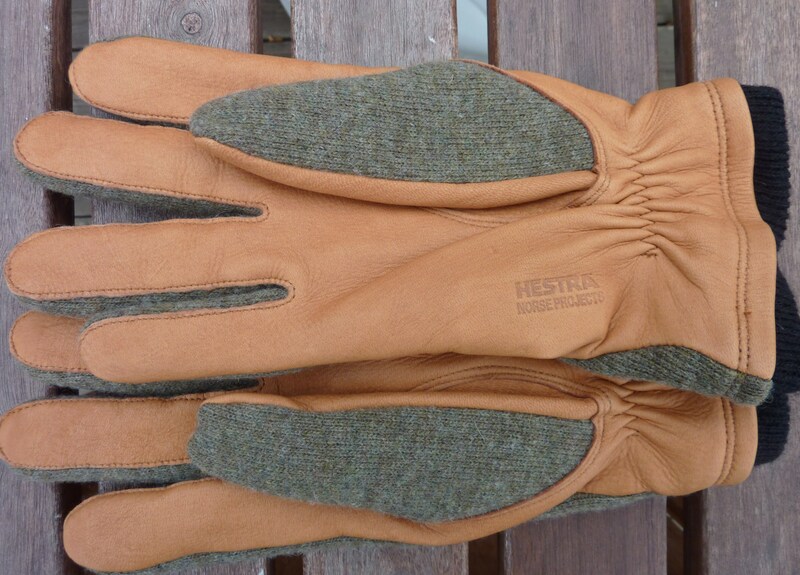 Norse Projects X Hestra gloves are good gloves - Well Dressed Dad - It is a proper menswear blog. Like, with original words and opinions and suchlike. This time of year our thoughts naturally turn to that most seasonal of ailments, what we nominally describe as cold hands. How many times have you bidden farewell to your toasty abode, only to find yourself wandering the miserable cold streets, in the compromised gait of a man with hands in pockets? It’s an ill wind that chills thine naked hands, my friend, yet you only have yourself to blame, as remedies are easily found. Over the years I’ve used and discarded my share of mittens and gloves, of most kinds, and never really bonded too closely with any. Those that are most pleasing to the eye tend to score low on functionality, and vice versa. 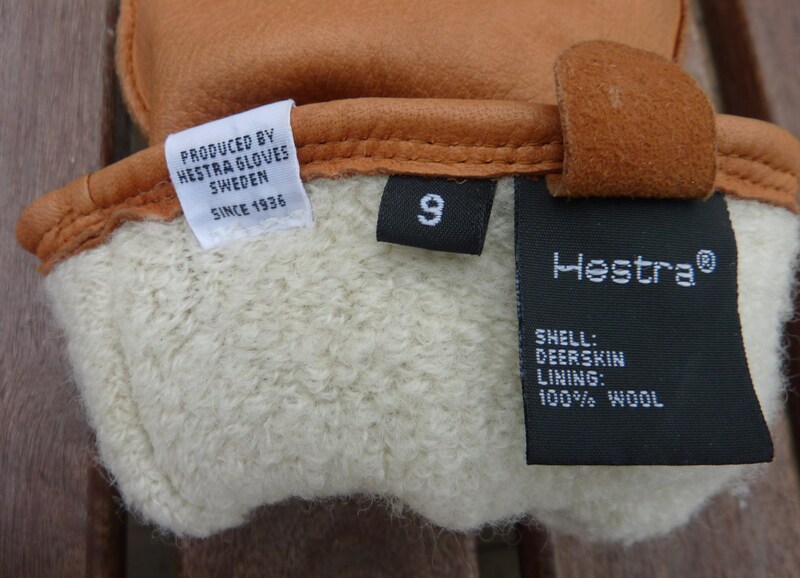 Two years ago though, my attention was grabbed by a pair of Norse Projects X Hestra gloves. 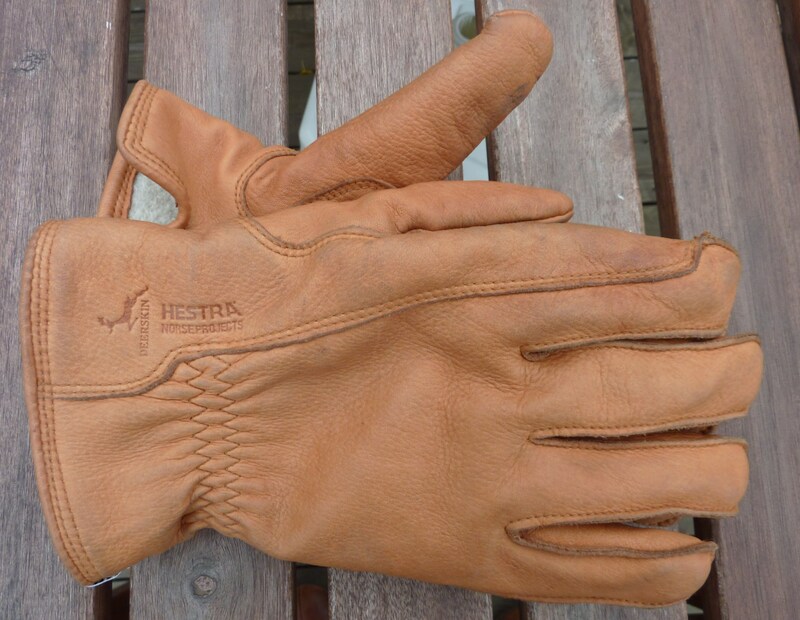 I was replacing a pair of Hestra leather gloves that I hadn’t been altogether pleased with, as in a single season the dark brown colour had worn off in places and the stitching was also giving up, yet these new ones were very tempting. 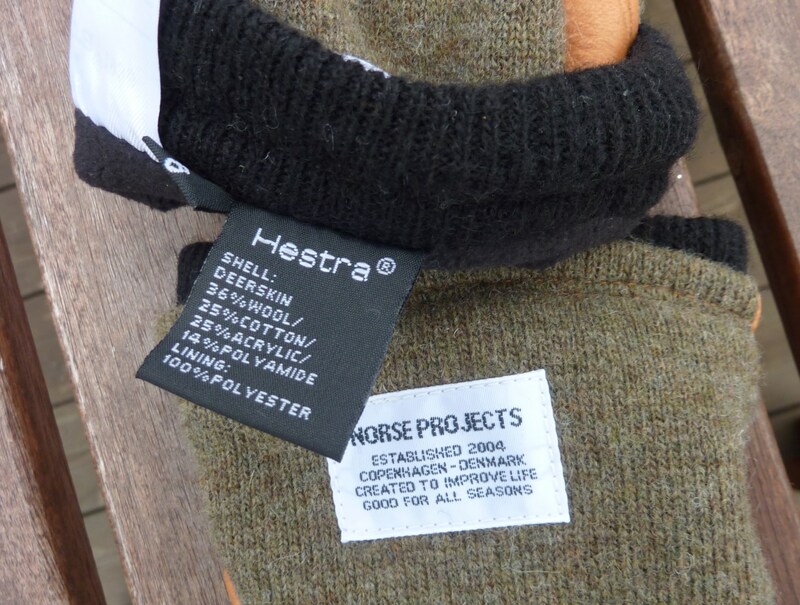 A collaboration with the Danish Norse Project, where I imagine Norse Projects give design input and Hestra actually make the gloves. Thick deerskin in a light colour, subtle logos and stitching in a natural colour. Inside the lining is 100% lambs wool. The design is just the right side of interesting, but quite subtle. I feel for them instantly, and have worn them for two winters. They look almost exactly as they did when I first got them, with a slight discolouring of each index finger (which is no doubt due to a runny nose on cold days and the wiping thereof). Otherwise, good to go for another winter or five. Top-notch gloves, and miles better than my previous disappointing pair. Last week I was visiting Lot 333 in Bergen, where I incidentally got my first pair, and discovered a new style for this winter. Again a collaboration between the same partners as before. 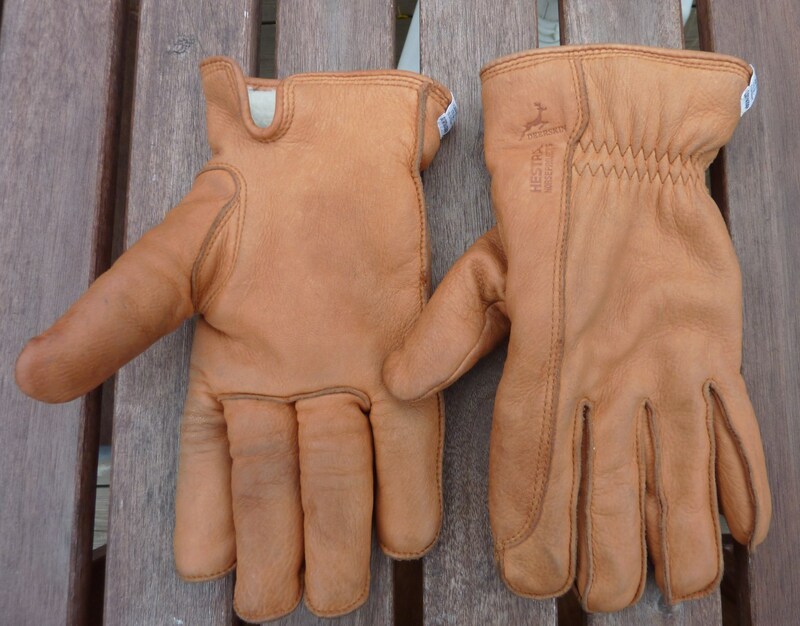 Again the same tan deerskin, but this time with more of a wool flavour. These aren’t gloves for days as cold as my first pair, but appear to be perfect for those days where the temperature is round the freezing point, perhaps down to around -10C. 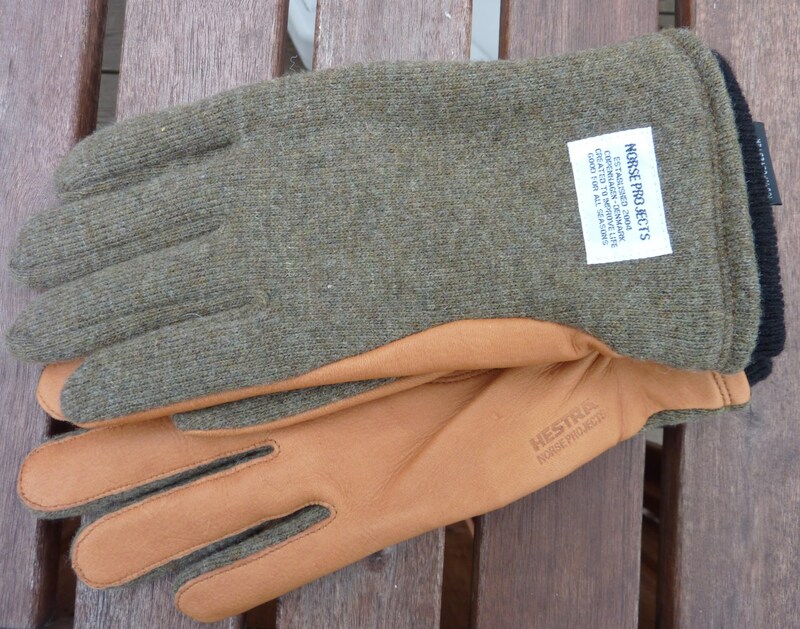 The surfaces that will see wear are in deerskin, the back of the gloves in a pleasing tweedy-coloured wool/synthetic mix. The lining is synthetic on these, not the natural goodness of baby sheep, but we’ll see how that works out. As far as I can judge, these will be an excellent addition to my collection of hand-wear, and they certainly have a style that will work well with the jacket and scarves I’m wearing this season.